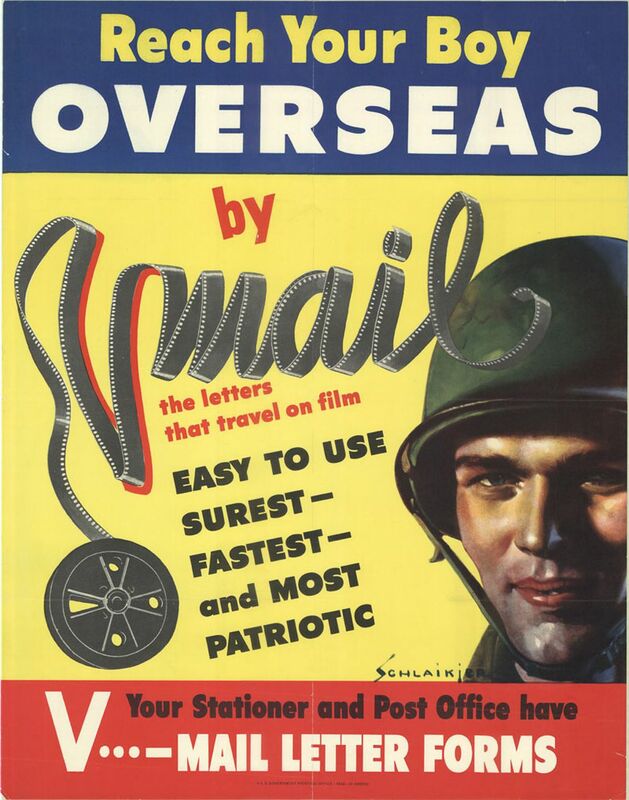 V-mail, short for Victory Mail, was developed by Eastman Kodak operated during World War II to expedite mail service for American armed forces overseas. V-Mail was the main way soldiers stationed abroad were able to communicate with friends and family back home. 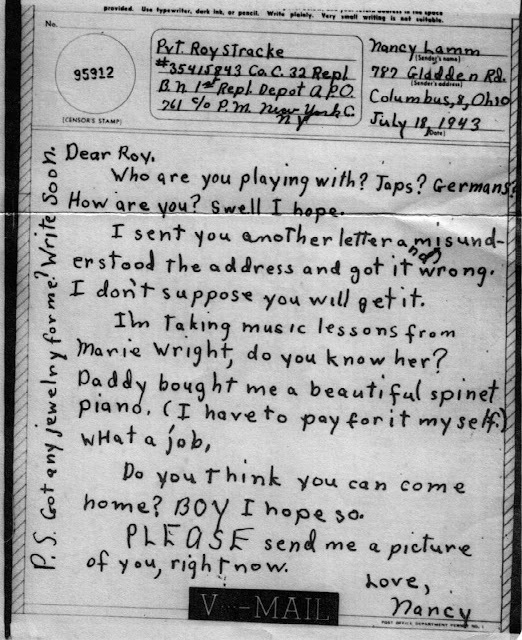 Prior, one of the only ways to reach loved ones was through Air Mail, which was sent by airplane and was often more expensive than regular mail and took too long to be used for any urgent messages. 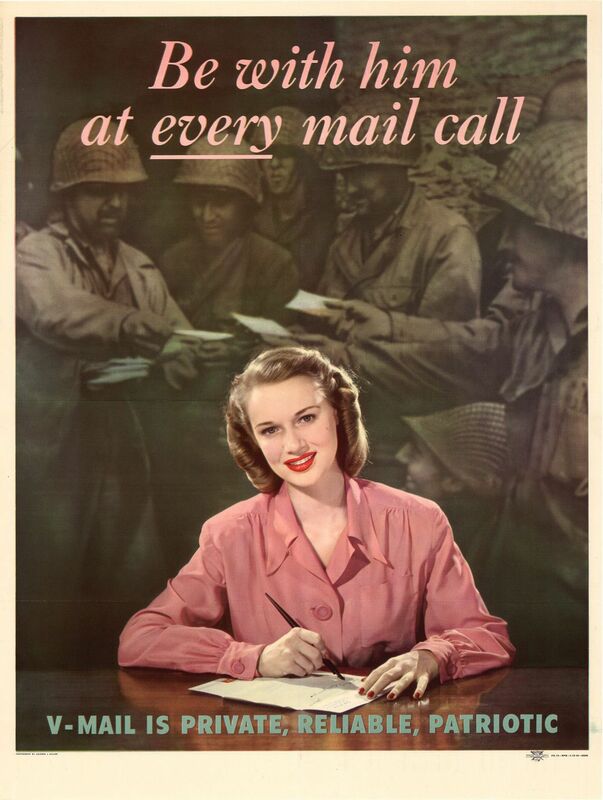 V-mail allowed for faster, less expensive correspondence. Because the letters were censored before being transferred to microfilm, V-mail was one of the most secure methods of communication. 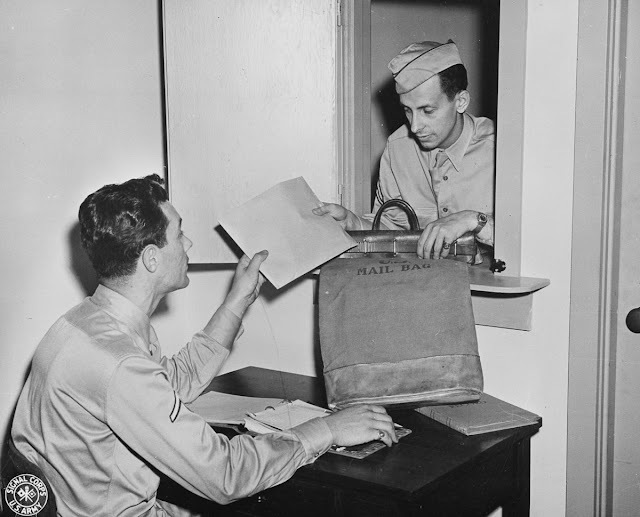 Moving the rapidly expanding volume of wartime mail posed hefty problems for the Post Office, War, a nd Navy Departments. 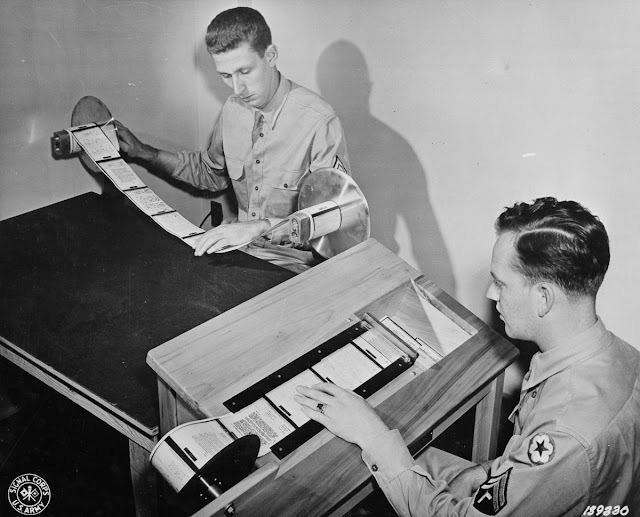 Officials sought to reduce the bulk and weight of letters, and found a model in the British Airgraph Service started in 1941 that microfilmed messages for dispatch. V-Mail used standardized stationery and microfilm processing to produce lighter, smaller cargo. 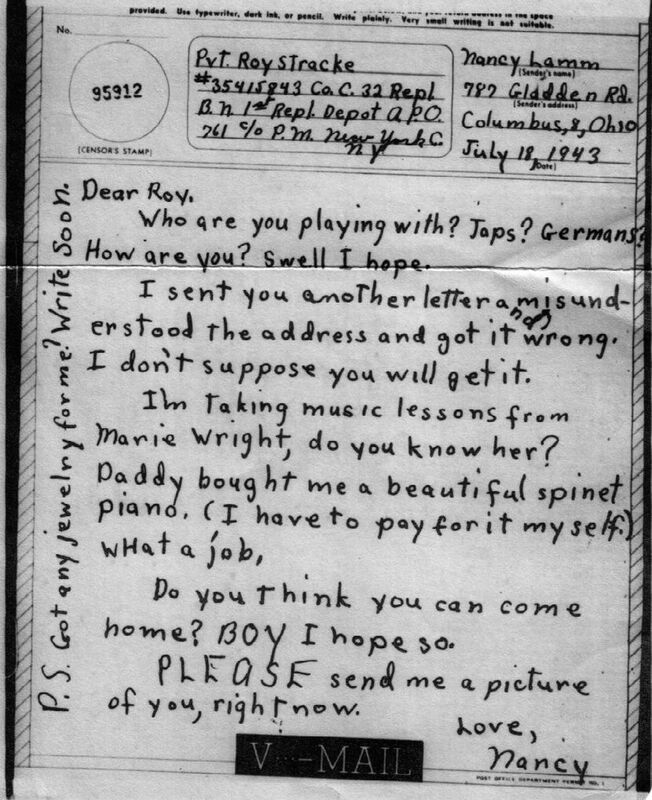 After letters arrived at their destination, the negatives would be blown up to full size and printed. 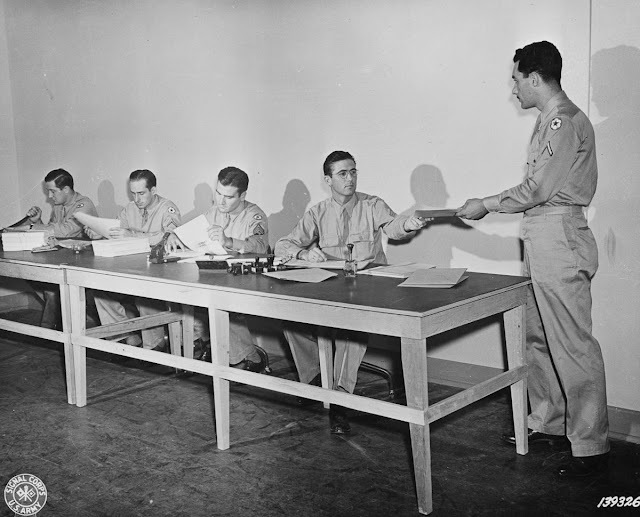 This method meant saving shipping space that could otherwise be used for for other war supplies and more letters could reach military personnel faster around the globe. Using this small microfilm saved the postal system thousands of tons of shipping space, fitting the equivalent of 37 mail bags worth of letters into just one. 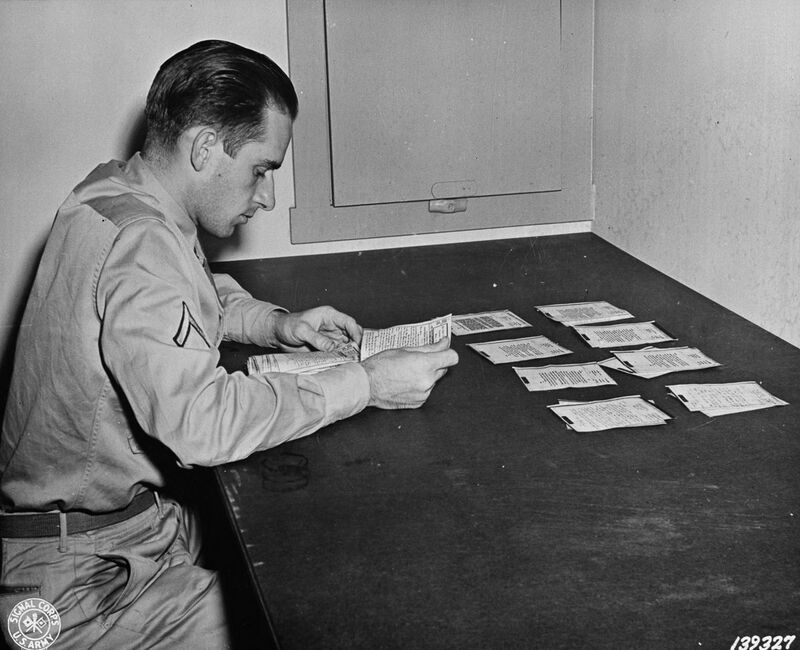 A courier delivers letters for filming and reproducing at the official photo mail station at the Pentagon. Letters to be microfilmed for V-mail are registered, sorted and prepared for photographing. 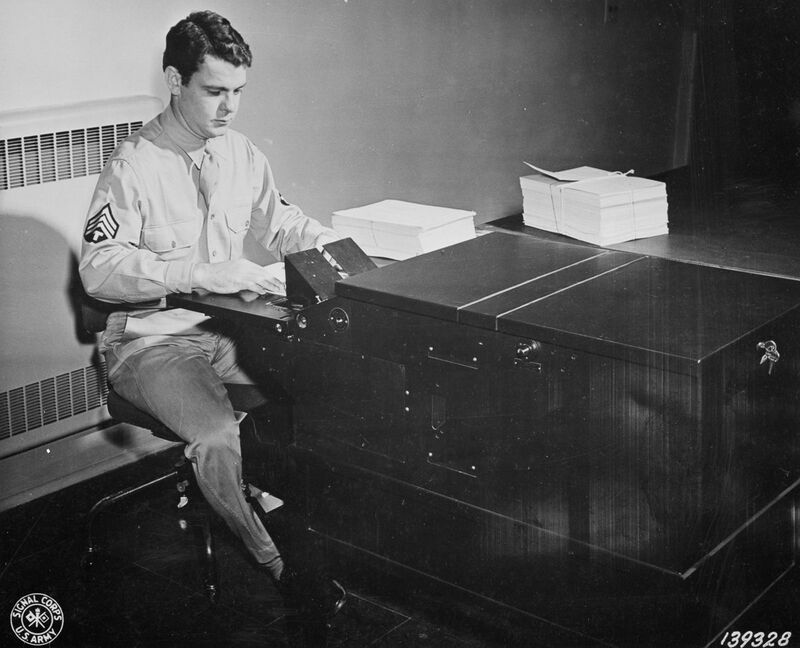 Letters to members of the armed forces overseas are photographed and transferred to V-mail microfilm. 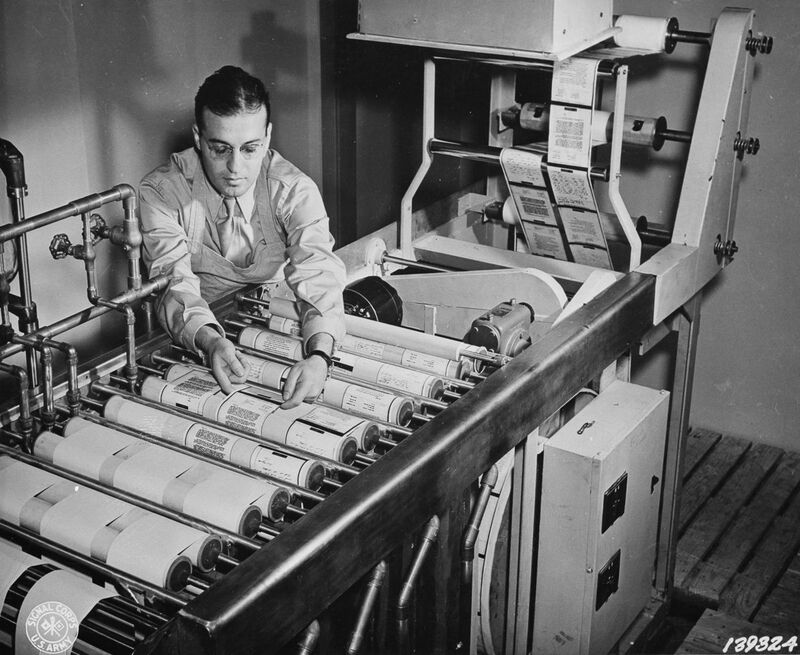 Paper reproductions from V-mail microfilm are developed, fixed, washed and dried on a continuous paper processing machine. 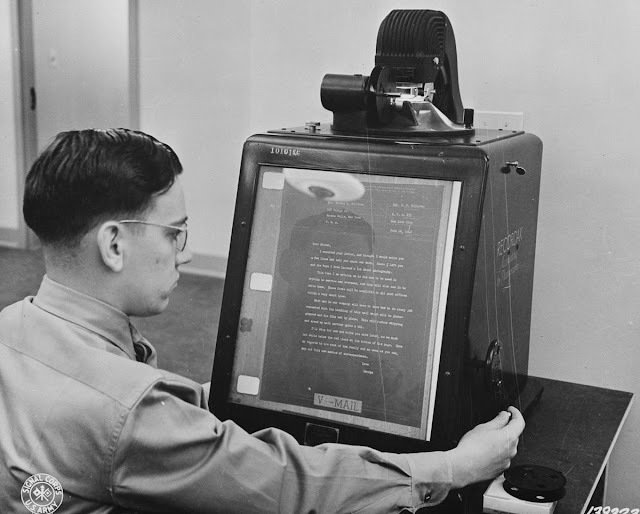 V-mail is inspected for flaws on an enlarging reader. V-mail letters are printed onto paper using a continuous enlarger. 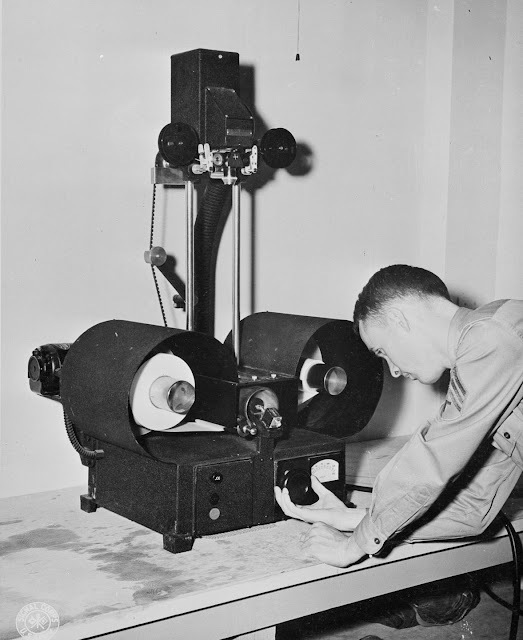 Paper reproductions of V-mail microfilm are inspected and then cut into individual letters by a "chopper." Finished V-mail letters are sorted and prepared for forwarding to recipients.